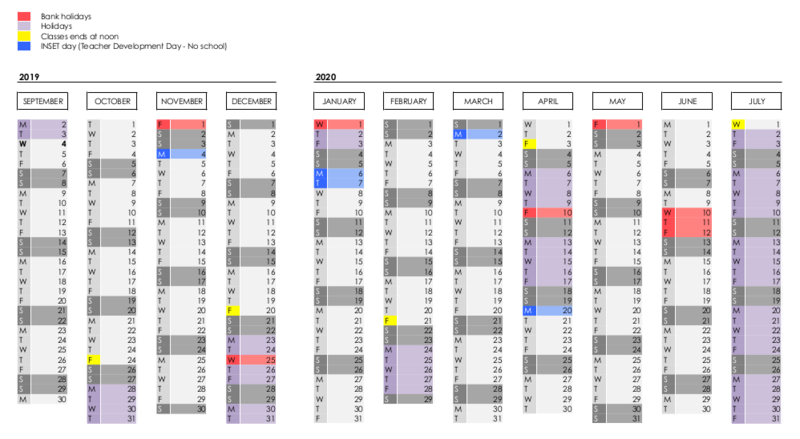 Download here the school calendar for 2018/19 (pdf). The school will be closed on public holidays. Dates subject to further confirmation. 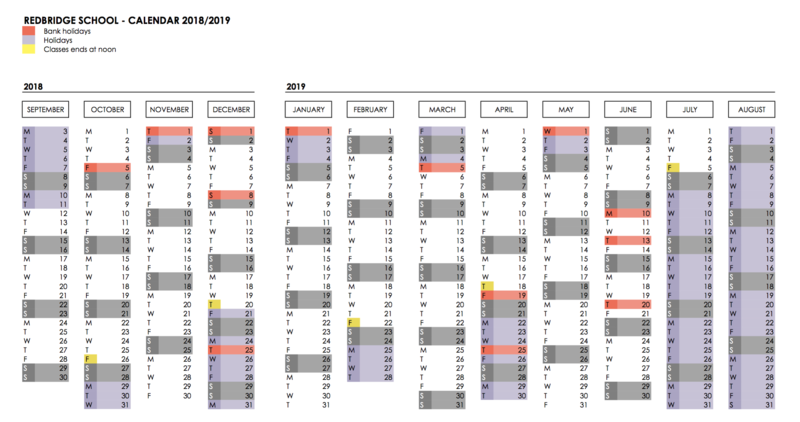 Download here the school calendar for 2019/20 (pdf).